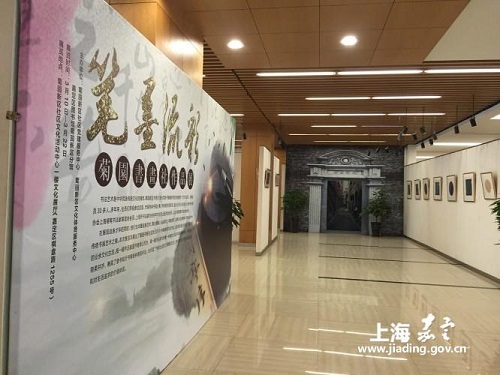 Juyuan Cultural Center, located in the Jiading district of Shanghai, is displaying an exhibition of 60 calligraphy works from March 10 to 22. The works were created by members of a calligraphy and painting association in Juyuan New Area specializing in hard-pen style calligraphy. Hard-pen calligraphy is a type widely practiced in China that includes works produced using fountain pens, dip pens, pencils, and ball-point pens. Writing styles can generally be divided into five categories: seal script (zhuan shu), regular script (kai shu), running script (xing shu), cursive script (cao shu), and official script (li shu). The exhibition, launched by the Juyuan branch of Jiading Museum, is expected to give local residents a better understanding of calligraphy. The Juyuan Calligraphy and Painting Association is comprised of local calligraphy and painting enthusiasts who want to show their own talent and to introduce the beauty of traditional Chinese art to more people. Currently, the association has more than 30 members who actively participate in calligraphy and painting competitions.